With the fall season upon us, Burrit Hall kicked it off with a fun gathering for all. Burritt is the oldest standing dorm at Greenville University: built in 1912. Burritt provides Greenville University female students a safe, homey place to live and thrive. The community atmosphere in Burritt helps students build strong friendships. The fall fest was put on by the Burritt RCs (resident chaplains) who advertised the event via signs, videos, chapel announcements, and social media. Signs were hung up all over Burrit and around campus to help get the word out. The chapel announcement included a video made by some of the Burritt RC’s. The RC’s took advantage of social media and also posted about the event on Facebook, Instagram, and Twitter. Burritt hosts multiple events throughout the school year to encourage student involvement. Burritt also hosts gatherings that make students feel more at home. 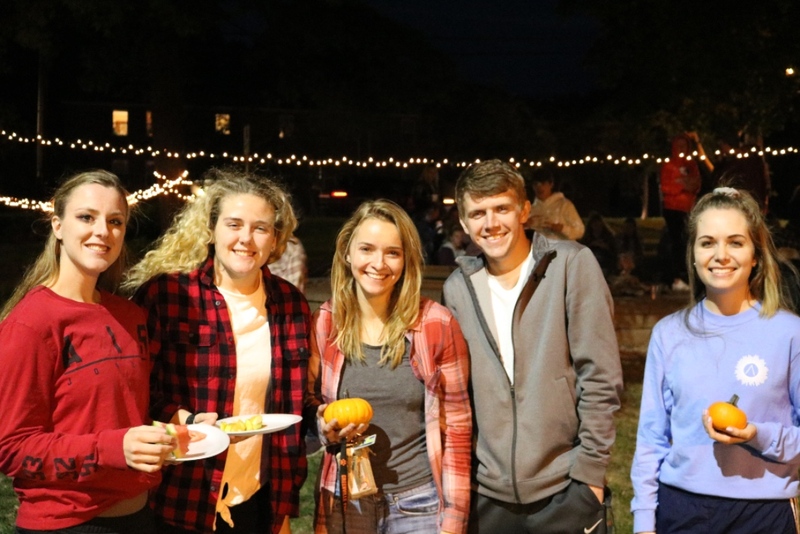 The fall fest was located at Burritt Fire Pit and offered students food and beverages. Students could enjoy s’mores, fresh fruit and vegetables, and many other snacks. Students could even make their own caramel apples. 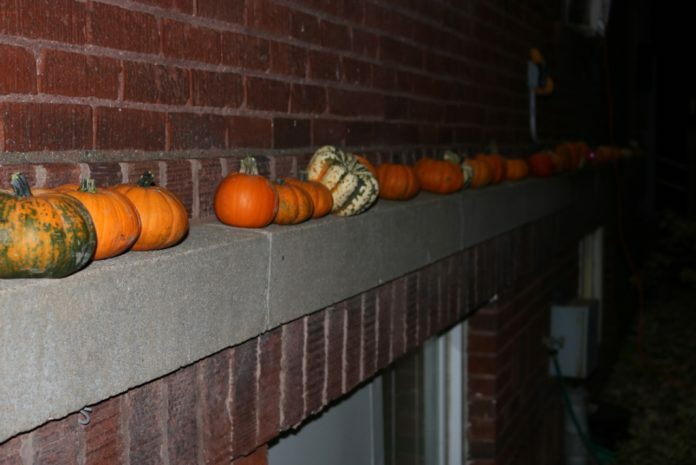 Pumpkins from Daniken Tree Farm were brought in for students to take back to their rooms. A station was also set up for pumpkin painting. Students could make their pumpkins more unique by putting their own creative twist on them. Chapel credit was offered to students who stayed for worship, which consisted of singing worship songs around the campfire. Burritt Fall Fest was a great opportunity to take cute fall pictures with your friends and also make some new friends, too. It is so important to be involved throughout college. 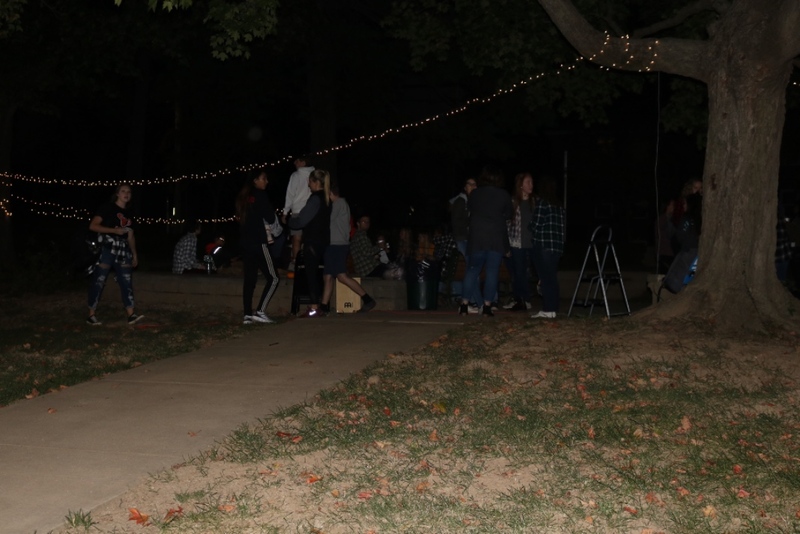 Getting out of your dorm room and meeting new people is key to a successful college experience, and events like Burritt Fall Fest are the perfect opportunity to do so. One of the purposes of events like Burritt Fall Fest is to help students meet new people. Get out of your comfort zone and introduce yourself to someone new and you never know, you might make a lifelong friend.